I love to grow a garden, and nothing helps my plants grow better than the natural organic fertilizer I produce by transferring our organic food waste from the DIY kitchen composter to our DIY vermicompost worm bin. 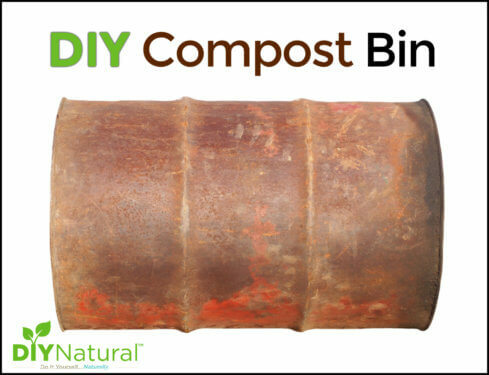 If you are looking for an inexpensive way to produce your own compost fast, then look no further. Maybe you live in and urban area and do not have the space, time, or energy to make your own worm farm bin for vermicomposting. No problem. For a reasonable price you can pick up your very own spinning, urban, back porch, home compost tumbler bin! If you don’t have a back yard or back porch, consider the All Seasons Indoor Composter kit. It’s a unique, in-house system used to recycle kitchen scraps into an organic compost soil conditioner. The most effective method of fermenting is through anaerobic (without oxygen) fermentation. This process prepares the scraps for burial in less than half the time of conventional composting methods without any unpleasant odors. This system ferments and pickles your food waste in less than half the time of conventional composting methods without odors. 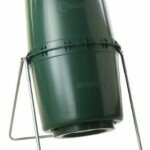 The All Seasons Indoor Composter includes two unique features, the strainer and spigot, allowing the moisture released by the scraps of food waste to be drained out to prevent spoilage. This liquid can be used as a fertilizer for household plants (1:100 dilutions) or to clean your kitchen and bathroom drains (undiluted). The All Seasons Indoor Composter kit can be easily implemented in an indoor environment making it useful for apartment, school, household, restaurant, business or wilderness use. 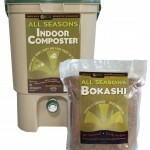 Each composting kit comes with complete instructions and a bag of All Seasons Bokashi. The All Seasons Indoor Composter used in conjunction with All Seasons Bokashi provides the ideal conditions to activate anaerobic fermentation that accelerates the composting process, while eliminating odors and deterring pests. With great reviews on Amazon, the Envirocycle Original Composter/Composteamaker was the first commercial composter in the world to collect liquid compost tea – a powerful fertilizer. 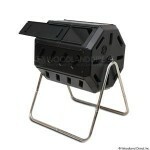 This distinctive 2 in 1 compost tumbler makes it easier and faster to generate nutrient rich compost year round. Simply give the drum a few turns and your compost remains well mixed while the unique base design simultaneously collects compost tea, producing two excellent natural fertilizers. This organic plant food can be used can be used for houseplants, outdoor plants, trees , lawns and gardens. Spinning the composter at least 3 times a week and adding the right mix of organic matter, will produce dark, rich, odourless organic compost in 4-6 weeks. The urban-savvy spinning composter, made by Envirocycle Systems, is made with a high percentage of post-consumer and post-industrial recycled plastic, and comes pre-assembled and ready to use. The 3.8 gallon removable base collects compost tea while eight built-in rollers help mix in oxygen and speed up decomposition. Its 7 cu.ft capacity is enough to handle large outdoor uses. The hassle free timeless design created in 1991, ideally suits today’s urban lifestyle allowing for easy placement on patios, garages or gardens. The Envirocycle Composter/Composteamaker makes it simple to keep the earth green for generations to come. Same as above except a bit smaller for those with more compact spaces and maybe less compost. The Envirocycle Mini Composter/Composteamaker comes pre-assembled and ready to use in a color that blends naturally with its surroundings. The urban-savvy spinning composter, manufactured by Envirocycle Systems, is made with a high percentage of post-consumer and post-industrial recycled plastic. Its versatile compact design makes it easy to fit anywhere, thus the perfect composter for the gardener with limited space. This distinctive 2 in 1 compost tumbler makes it easier and faster to make nutrient compost year round. Simply give the drum a few turns and your compost remains well mixed while the unique base design simultaneously collects compost tea, producing two excellent natural fertilizers. 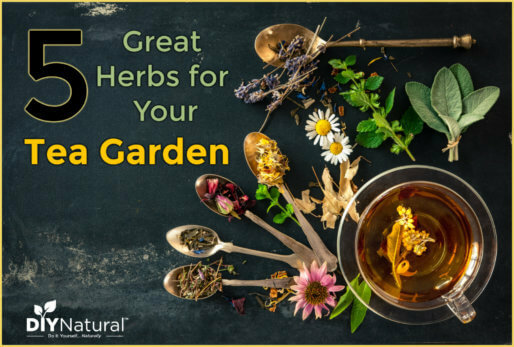 This organic plant food could be used for houseplants, outdoor plants, trees, lawns and gardens. Spinning the composter at least 3 times a week and adding the right mix of organic matter, will produce dark, rich, odorless organic compost in 4-6 weeks. The hassle free design ideally suits today’s urban lifestyle allowing for easy placement on balconies, patios, garages or gardens. 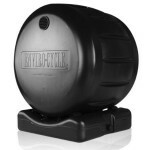 The Envirocycle Mini Composter/Composteamaker makes it simple to keep the earth green for generations to come. 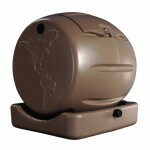 Coming in at the best price is the Tumbling Composter. For just over $100 it produces nutrient rich compost from your recyclables for a fabulous garden. This tumbler allows you to start a new batch while the first batch is still curing. Features include: reversible door easily flips over to keep track of batch stages, adjustable air vent, sturdy 18 gauge tubular frame, large opening to access dual-chambers, for easy load of recyclables or unload of compost, exclusive built-in churning paddles designed to break down and mix the organic material, and a rodent-proof design. The Tumbleweed Compost Maker was member tested and recommended by the National Home Gardening Club. The Tumbleweed makes compost faster and easier. There is no need to fork or lift when you use the Tumbleweed. You can make rich compost in as little as 21 days. Great for grass clippings and kitchen waste. Tumbleweed’s unique bin rotates around the stainless steel rod which runs through the middle. During tumbling, the patent pending breaker bar breaks up tumbling contents. This creates an aerobic action that offers a quicker and odorless form of composting. Batch composting is the fastest and most efficient way to produce high quality compost, and this dual bin tumbler makes it easy. Fill one side with kitchen scraps and yard waste, then stop adding materials and let it “cook,” turning it every few days to speed up the decomposition process. In the meantime, add new scraps to the other side. When the first batch of compost is finished, remove it and repeat the process, letting the other side cook. And here is the best book you can buy to go with it. This book will teach you everything you need to know about DIY compost tumblers. Making your own food is much more satisfying that buying it from who-knows-where after it was grown and processed who-knows-how! Instead, start growing your own… and before you do, make sure you have a solid way to produce your own organic compost. Pick your favorite compost tumblers of this bunch and run with it! 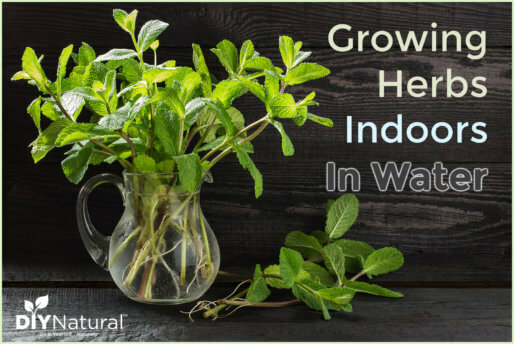 We have composted for years and love the indoor idea. We are in an RV now and think it will work here. It is a great idea for mobile folks. If you try it let us know. Blessings. will even get it. And locating it here – lots of luck. add. So l am thinking if the weeds can do so well by can’t my garden grow as well with a little work. Tell me about the worm farm? Enjoy you website and ideas but finding getting all the materials can be difficult and impossible. You should get the book, it will help you figure out the best solution for your situation. You can read more about the worm farm here. Blessings! I couldn’t justify the cost of the tumblers either, but I wanted to try composting. Being in a rental home, we were limited to what we could install in the back yard. We made a modified version of your worm farm idea, and it’s working wonderfully. We bought a 3 pack of large plastic tubs from Lowe’s ($17). In 2 tubs, we drilled 1/2 inch holes every 2 inches. We made 2 bands of these holes, 1 band near the bottom and one 1/2 way up the tub. We also drilled 5 holes in the bottom of 2 of the tubs to allow excess moisture to drain away. We left 1 tub hole-less to use as storage for the finished product. The materials break down quickly, and I’ve been able to add the root balls and garden waste after our recent freeze. I was amazed that after the first week, we reduced our garbage output to 1 bag per week! Ha ha… that’s awesome Jenn, nice work! Pallets, ha ha, now you are speaking my language. We also use plastic containers that wash up on the beach for lettuce planters. For composting, my neighbor has an old plastic, black rain barrel — 55 gal drum type, maybe smaller. Anyway, the top and bottom is sealed up, he cut a rectangle access hole and attached another piece of scrap plastic over it for a door and holds it tight with a bungie cord. He drilled a bunch of small holes all over it for aeration. Laid lengthwise you can get a little exercise by kicking it around the lawn and was basically free to make because he found the barrel at the dump. Paying 200.00 for these plastic compost “systems” makes no sense. Can you provide details on your warm farm with pallets and zip ties. I am always looking for DYI ideas. My husband and I have just started our adventure in composting. Thank you for all of the advice and info! Thanks for sharing all of your wisdom and goodies with us!!! Thank you for your comment, it means so much to see the recipes touching others lives in a meaningful way. Good news… I quit my day job to start working on DFA and diYNatural (among other things) full-time, so there should be no shortage of new content here, and on DFA. 🙂 I’m quite excited. 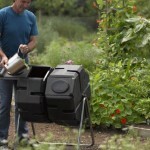 A rollable composter really is a great addition to any garden. We have a Composhere and it has transformed the way we garden. We simply roll it to where we want to put compost down and open it up, so we don’t have to lug the compost half way across our garden. It helps to create better compost, faster too.